Scientists in Ohio have developed a more efficient means of creating brain stem cells, specifically oligodendrocyte progenitor cells, or OPCs, which will help facilitate greater understanding of neurological disorders that result from myelin damage. Myelin, a fatty substance produced by cells called oligodendrocytes, coats nerve fibres and enables electrical signalling in the brain and facilitates normal neurological function. 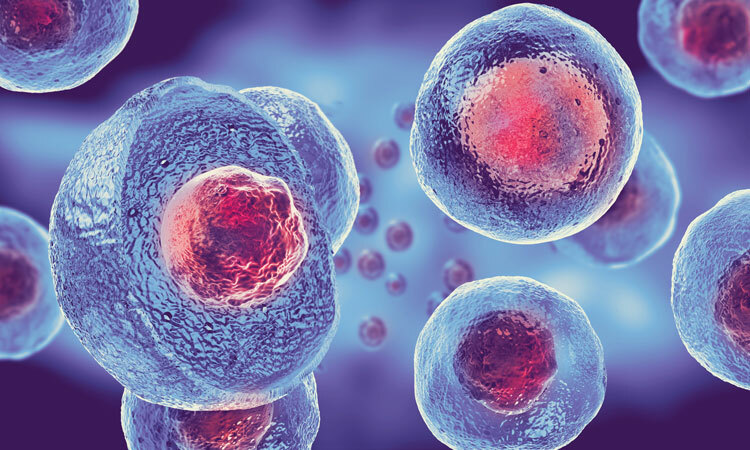 Induced pluripotent stem cells are master cells that can potentially produce any cell the body needs. They are generated directly from existing adult cells but embryonic stem cells are also pluripotent. First author Angela Lager PhD and colleagues developed a new methodology to generate large quantities of oligodendrocytes and their progenitor cells ­– known as oligodendrocyte progenitor cells or OPCs – from mouse embryonic stem cells and induced pluripotent stem cells. Many genes and cellular processes have been associated with oligodendrocyte dysfunction, but scientists have typically needed to make mutant mice to investigate these processes, often involving expensive, multi-year studies to examine a single aspect of this biology. To address this problem, the Case Western Reserve team developed a rapid and highly efficient method for generating OPCs and oligodendrocytes from pluripotent stem cells that originate from any genetic background. This will provide researchers with new access to these relatively inaccessible brain cells in both healthy and diseased states. First author Matthew Elitt PhD and colleagues leveraged this OPC generation technology to provide new insights and therapeutic strategies for a fatal genetic disorder of myelin, Pelizaeus Merzbacher disease (PMD). The team found that there was an unexpectedly early critical phase in PMD-affected cells characterised by endoplasmic reticulum stress and cell death as OPCs exit their progenitor state. The endoplasmic reticulum is the part of the cell involved in processing proteins. In PMD, which almost exclusively affects male children, oligodendrocytes are lost and myelin is not properly formed in the brain and spinal cord. Due to their diseased myelin, children with PMD exhibit often-debilitating problems with coordination, motor skills, verbal expression, and learning. Due to the disease’s severity, patients typically die before adulthood. The Case Western Reserve team’s findings have implications beyond PMD. Numerous neurological and psychiatric diseases are characterised by myelin loss or dysfunction, including multiple sclerosis, spinal cord injury, and schizophrenia. Measures to regenerate or restore myelin could offer patients hope in these and numerous other disorders affecting the brain and spinal cord.